In our Spanish classes we do a variety of fun activities including playing games, singing songs, role-playing, interacting with Spanish-Speaking puppets and much more! Some of the October themes include: complimenting others, Halloween vocabulary and costumes, going "Trick-or-Treating", the song: "Itsy Bitsy Spider", the family tree, numbers and classroom objects. October is the ideal month to learn words like pumpkin, bat, spider, candy, witch and "Happy Halloween". Click on the pictures below. They will get larger when you click on them and you will see how the words are written and pronounced. You can also play the audio file for some fun Halloween sound effects and also to hear how the words are pronounced. In class we are going to role-play "trick or treating" in Spanish. 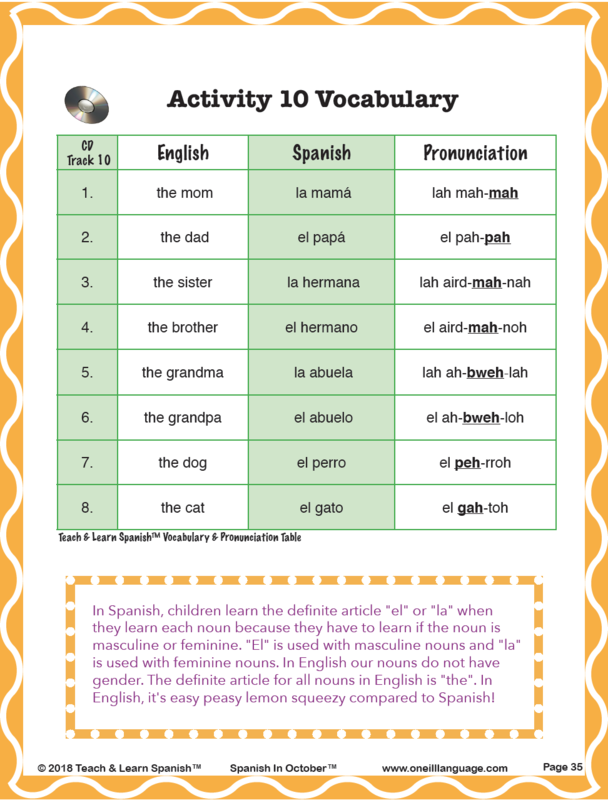 Listen to the audio file below and you can role-play trick-or-treating in Spanish at home too! Children naturally enjoy counting. When they can count in a second language they think they are pretty cool! ​Play the audio file below and practice the numbers with your child. The audio track below walks you through exactly how to teach, act out and sing "The Itsy Bitsy Spider" song in Spanish with your children. See the lyrics below for help. After practicing the song you have the option to download a version of the song from iTunes for just $.99 cents. See the note to the right of the lyrics. If you want to practice saying the names of family members, listen to this audio file together with your family. 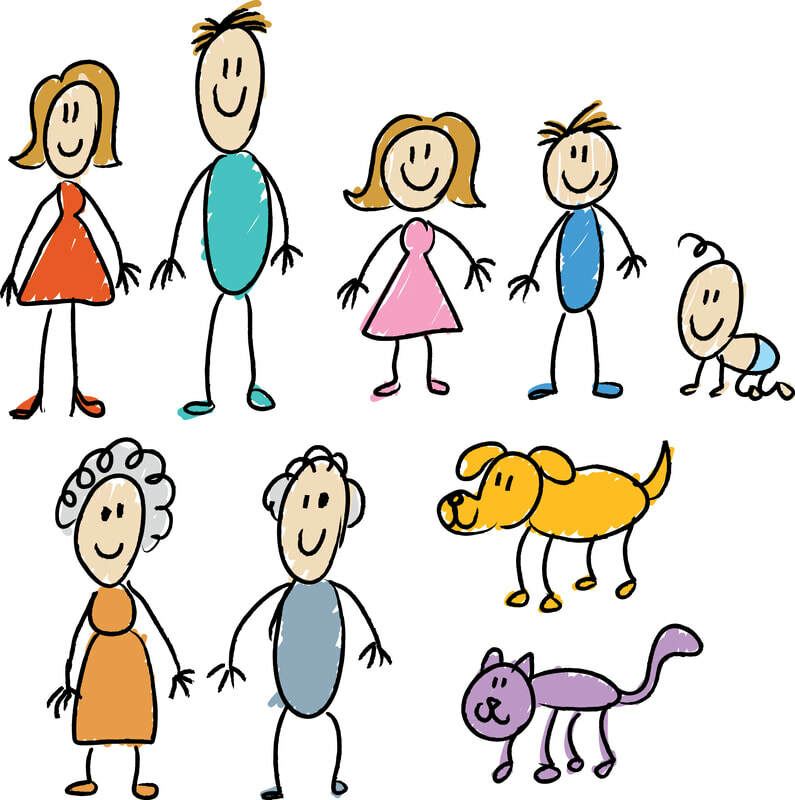 Then draw a picture of your family with your child and practice naming the family members in Spanish. at home during the month of October!